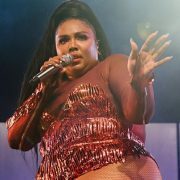 A few days ago, the ever-adventurous, ever-daring and ever-unbelievable Lizzo lit up social media timelines by sharing a short video, asking ever so sweetly, “Have you ever seen a bh play flute then hit The Shoot? !” Then she proceeded to do just that in a video from one of her concerts. Of course, she already knew the answer to that question. She just wanted to show off and flaunt just how multitalented she is. And, of course, we’re far from mad at Lizzo’s clatchet (that’s classy and ratchet) behavior. Now she’s showing off once again by sharing a song based on the musical moment entitled "Bye B***h."
“Bye B*h” is pretty much just a club remix of Kendrick Lamar and Travis Scott’s “Big Shot” from the Black Panther soundtrack. 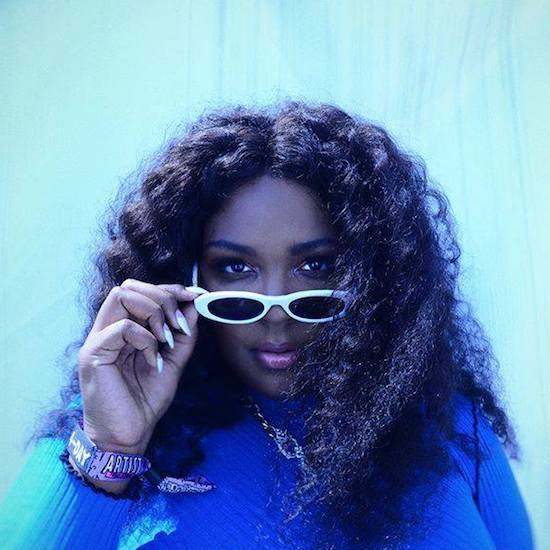 Adding some dance club remix elements like hi-hats, synths and further instrumentation to the beat, Lizzo provides a banging groove to get crazy, get stupid, play the flute and then do your Shoot. We aren’t sure what Lizzo’s next moves will be, but who cares. She’s having fun and so are we. Hopefully this track will inspire the #FluteAndShootChallenge across social media. Or maybe it will just be a little nugget of fun unto itself. But it shouldn’t be. Hit play below and indulge in the magic that is Lizzo.